Generates star shaped rainbow colored glints at locations where the Source clip is brighter than the threshold. Lower the threshold parameter to produce glints in more areas. Adjust the Shift Out, Size, and Brightness parameters to make different types of glints. Glints are best observed on dark images with a few bright spots. Source: The current track. The input clip that determines the glint locations and colors. Background: Optional. The clip to combine the glints with. If no background is given, the Source is also used as the Background. Mask: Optional. If provided, the source glint colors are scaled by this input. A monochrome mask can be used to choose a subset of Source areas that will generate glints. A color mask can be used to selectively adjust the glint colors in different regions. The mask is applied to the source before the glints are generated so it will not clip the resulting glints. Blur Glint: Default: 0, Range: 0 or greater. If this value is positive the output Alpha channel will include some opacity from the glints. The maximum of the red, green, and blue glint brightness is scaled by this value and combined with the background Alpha at each pixel. 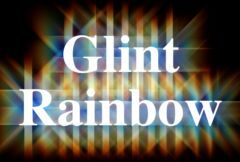 Glint From Alpha: Default: 0, Range: 0 to 1. Glint Under Source: Default: 0, Range: 0 to 1. Luma: uses the luminance of the Mask input to scale the brightness of the glints. Color: uses the RGB channels of the Mask input to scale the colors of the glints. Alpha: uses the alpha channel of the Mask input to scale the brightness of the glints.